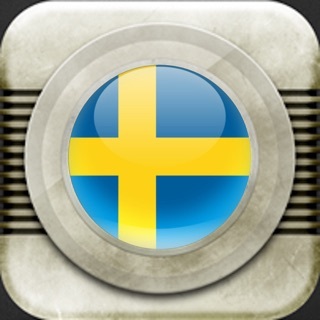 Get 80 free radio channels from Sweden on your iPhone, iPad or iPod Touch! 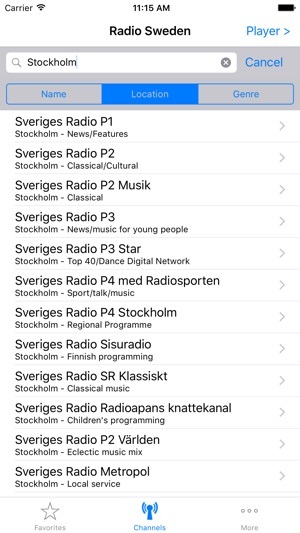 This application comes with 80 radio stations from Sweden completely free! 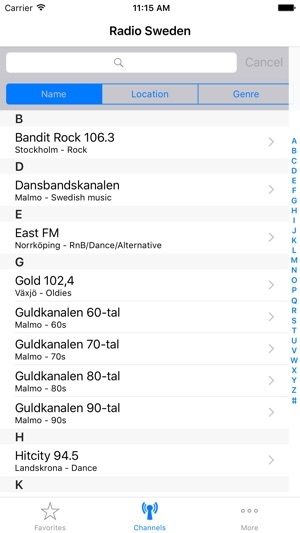 You can sort and search by station name, location or genre. You can also keep a list of favorite stations for easy access. 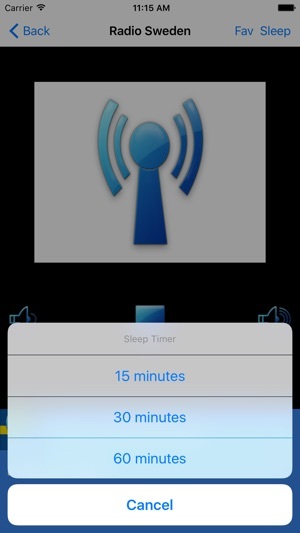 A sleep timer can be used to limit the music to 15, 30, or 60 minutes. 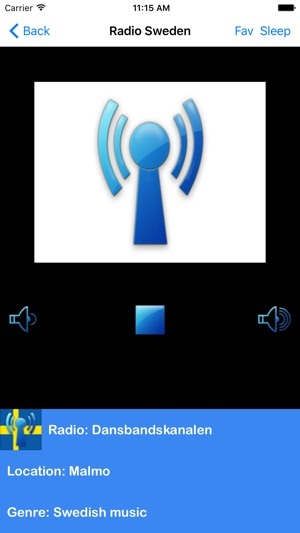 You can listen to this radio in the background while using other apps with multitasking. You can also stream the music directly to your airport express if you have iOS 4.2 or later. 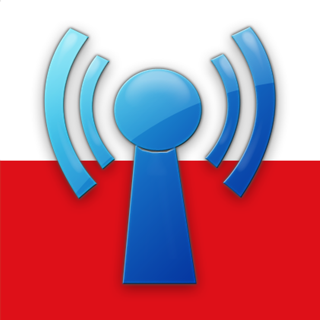 You have the option to get a Pro subscription, which will get you automatic updates to radio channel streams that change, additions of new radio channels as well as deletion of radio stations that close and/or cease to stream their station online. You will also be able to enjoy the app without advertisements. A Pro subscription costs $0.99 a month and is automatically renewed each month unless auto-renew is turned off at least 24-hours before the end of the current period. Payment will be charged to your iTunes Account at confirmation of purchase. Your iTunes Account will be charged for renewal within 24-hours prior to the end of the current period at $0.99. No cancellation of the current subscription is allowed during active subscription period. Please note that each station's availability depends on the station itself and its servers. Sorry for any inconvenience. 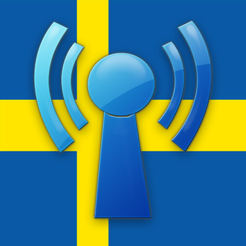 Bästa radio appen med svenska radiokanaler. Dock dåligt med den irriterande pop-up ads sida som ej går att få bort. Det drar ner betyget rejält. 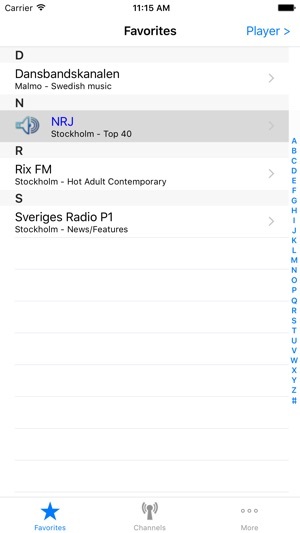 Kräver iOS 7.0 eller senare. 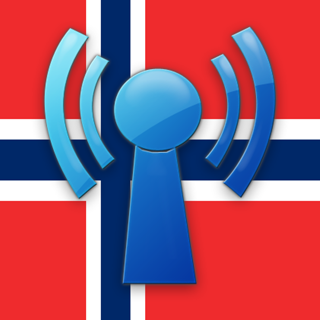 Kompatibel med iPhone, iPad och iPod touch. © 2010 FREDOSAPPS, LLC. All rights reserved.